Register once to attend all four sessions! Is your library thinking about or planning a redesign of its website? 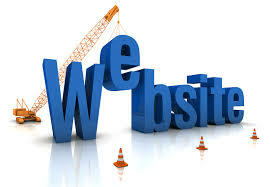 You may have a nagging feeling that the website would benefit from an overhaul. Or, you’re wondering about whether the site is user-friendly and accessible. Even if a formal redesign is not planned, it might be time to take a close look at how your current website could be improved. Redesigning your library’s website to make it more usable, professional, and credible can result in more traffic and greater awareness of your library’s services. Through this 4-part course, you will be able to plan or start a website redesign by asking the right questions, evaluating the current website, and setting redesign goals. Get the low-down on best practices you can implement, as well as common mistakes to avoid.